Gail Goodrich with Merck Pharmaceuticals coordinated a community service project at the Spring site on December 12th. Approximately twenty enthusiastic employees, including Spring volunteer Karolina Kata, spent the day assisting with a variety of projects. 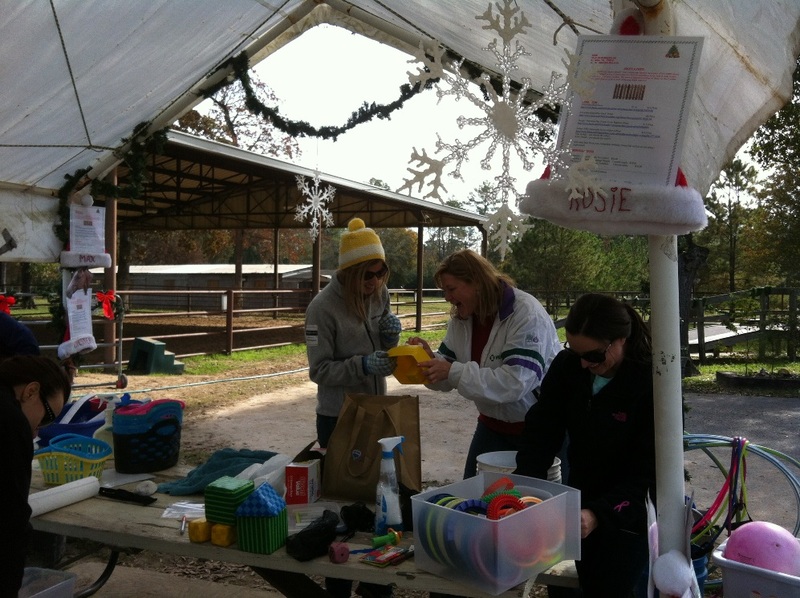 One group set up the sensory work station we received from Hockley in one of our outdoor arenas. 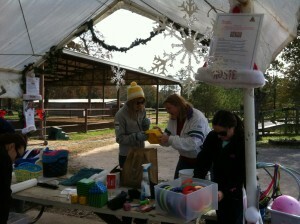 Another group cleaned and organized the therapy toys so we now have a set of each located at both covered arenas. After seeing the limited number of tools we have to work with they stopped by Home Depot on the way back from lunch and picked up a much needed tool set. They then donated it to our site. 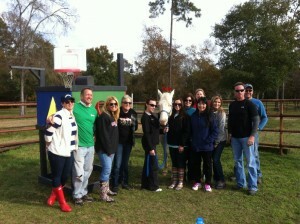 The Merck group was a huge help and a lot of fun to work with.